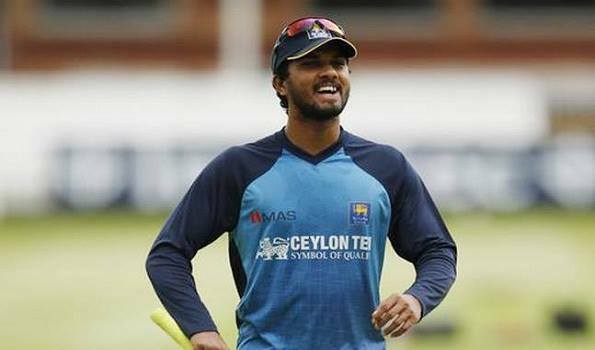 St Lucia: Sri Lanka Captain Dinesh Chandimal has pleaded 'not guilty' to ball-tempering charges following which a hearing will take place into the matter after the conclusion of the test match against the West -Indies at St Lucia. Chandimal (28) was charged on Sunday with a breach of the article 2.2.9 of the ICC Code of Conduct which deals with unfair altering of the condition of the ball. "The officials laid the charge after television footage from the final session’s play on Friday appeared to show the Sri Lanka captain taking sweets out from his left pocket and putting these in his mouth, before applying the artificial substance to the ball which the umpires viewed as an attempt to change its condition", the ICC said in a statement on Sunday.